Fortunes have been decidedly mixed for Manchester's two footy clubs this season. Reports of unsettled players and training ground bust-ups have left United fans fearing the worst, while on the back of a multi-record-breaking season City are among the frontrunners once again.. Personally I don’t think he was a good choice for Man United anyway. But City fans remain optimistic. 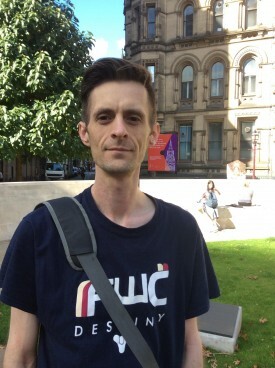 Anderson Piers, a 31-year-old cleaner from Gorton said: “It’s going good. Not as good I was hoping but it’s going good. For me, now, the best team in the Premier league are Liverpool. Chef Hovsep Srabonian, 37, from Hulme, was more upbeat: “Last season was incredible, best season in English football history so to even come close to that would be amazing. In the league so far, brilliant. Champions League was a shock result. I don’t think there’s anything to worry about. Confidence is there. Quality is there. Really happy.